Remember when using vCenter 6 the lookup service port is now 443 instead of 7444. Standalone - Default option for new installation or upgrade. 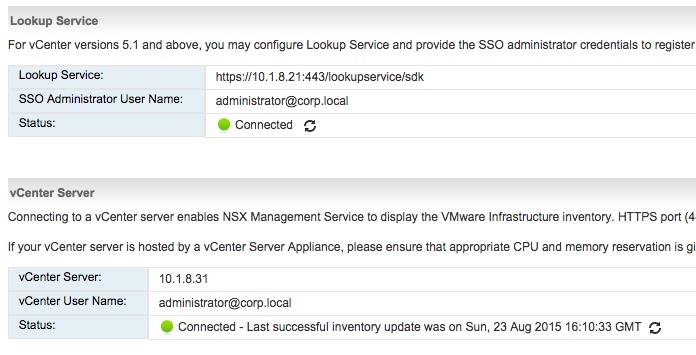 All objects in a Standalone NSX Manager are local. 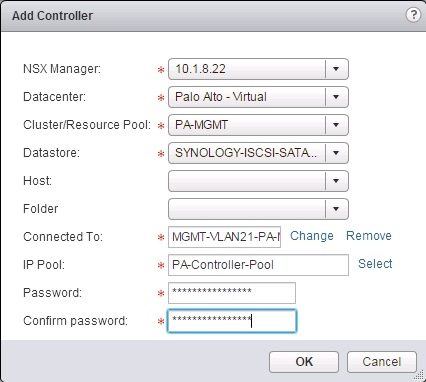 Primary - One NSX Manager per Cross VC NSX deployment is assigned the Primary role. Deploys and manages the Universal Controller Cluster and any Universal objects. 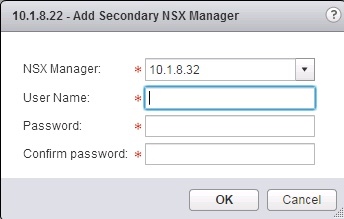 Secondary - The Secondary role is assigned when adding a Standalone NSX Manager to a Primary. Universal objects from the primary are synchronised to the Secondary where they are read-only. Transit - Temporary role used when an NSX Manager has a Primary or Secondary Role removed. 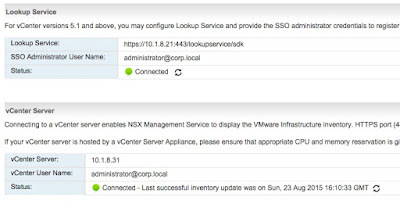 If universal objects still exist the NSX Manager is assigned a Transit role until these objects are deleted then it can move to a Standalone role.